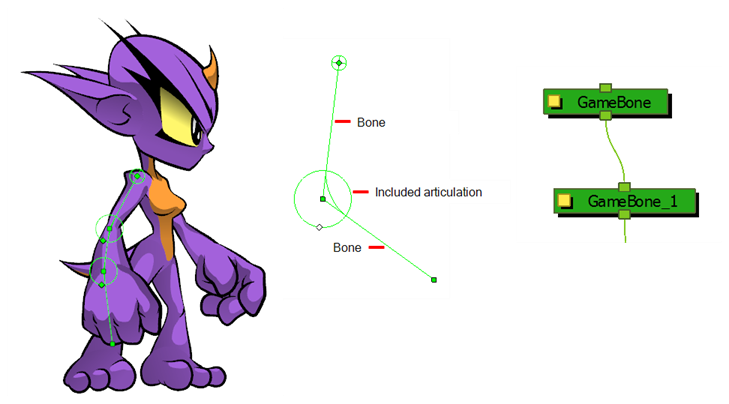 The main differences between the Bone and Game Bone deformations are that the Game Bone deformation doesn't have the Bias parameter and no regions of influence settings. The rendered result is also different for the articulation folds. They are slightly rounded.